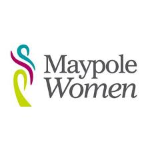 Maypole is the only dedicated UK charity supporting women, and their children, before, during and after separation and divorce. The service is mainly run by volunteers. This service is supports women and their children who are experiencing separation and divorce. to campaign for safe and fair divorce law for women and children. For more information, support or advice please click on the ‘contact us’ section on the website to email a message.